ThimphuTech.com: Google Street View soon in Bhutan? 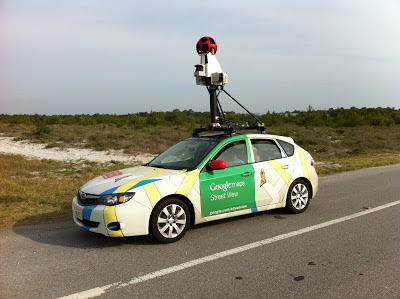 Google Street View soon in Bhutan? Google keeps expanding its Street View program. A couple of years ago there were rumours about starting the program in India, but this has not materialized. Google doesn't make its plans public. So it may take a good number of years - and Bhutan's government co-operation - until Street View is available in Thimphu and other towns in the Kingdom. Two and a half years later, it seems that the time has come. According to the Technology Freak blog, Google Maps' Street View will be announced in Thimphu tomorrow (Wednesday) at 12:30 at the Druk Hotel. It might take some time until we see a car - or will it be a yak? - mounted with cameras and roaming the slopes of Bhutan, but the green light has been given. A yak or a herd of yak mounted with sophisticated cameras surveying the highs and lows of Bhutan for google street view?? ?Ummm...hahahaha like the idea.May be we should suggest this idea to Larry or Sergey.